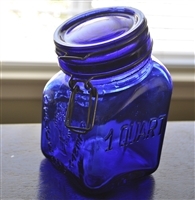 Cobalt blue glass Crownford lidded jar with a wire closure, Italy. 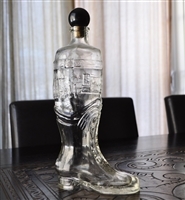 Lidded ALWE Italian glass beer stein. Pewter top lid. Vetro Eseguito Secondo La Technica Dei Maestri Di MURANO Italy tall glass. Vintage ERMETICO glass jar made in Italy 10-1/2" tall. Vintage VETRERIA ETRUSCA blue green Italian glass cuiet Mid Century. RCR Royal Crystal Rock Odette Ballerina, Italy 11 inch tall. 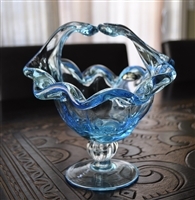 Murano Art Glass clear Crystal basket. Murano Art Glass Crystal in Baby Blue color large pedestal basket, White Crystal Italy. Royal Limited Crystal perfume botle with stopper, gold gilded decor. Italy. Vintage ITALY FLORENCE green glass silver overlay vase. FLORENCE Italy vintage purple plum glass silver overlay vase. CORCORAN 1989 art glass perfume bottle or bud vase by Nourot Studios with Murano glass studies. 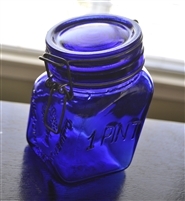 FLORENCE Italy vintage cobalt blue glass silver overlay vase. 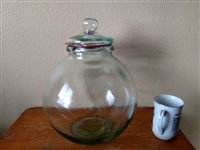 Green Hue glass Apothecary/Store display jar made in Italy.